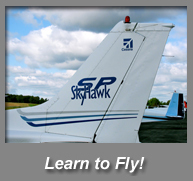 Dream Flight School is located at Carroll County Regional Airport in Westminster, MD. The flight school was started in August of 2011 by Dream Aviation, Inc owned by Jeremy Etzkorn. Jeremy is a certified flight instructor with over 2200 hours in the specific make and model airplanes that are used at the flight school - the Cessna 172s and Diamond DA40. He has over ten years of teaching experience and has instructed more than 20 students to completion of their private pilot certificate. Jeremy has enjoyed traveling to 24 different states within the country while as pilot in our small general aviation aircraft. He received a B.S. degree from James Madison University in Computer Science and has an extensive background in web development, helping develop the website for Rosetta Stone. He loves teaching, and this flight school is his greatest passion. He hopes to bring his love of flying to his students. Justin Schultz is a full-time instructor at Dream Flight School. He has his CFII, and MEI certificate and can therefore teach both private pilot,instrument, commercial and multi-engine students. 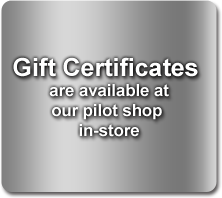 Our part time flight instructors include Enrico Bernoni and Andy Miller. Our part time instructors are experienced pilots with full-time jobs in other professions and have dedicated their free time to helping new pilots.